For the past many years our doctors have done our best to support families who are concerned about vaccinating their children. 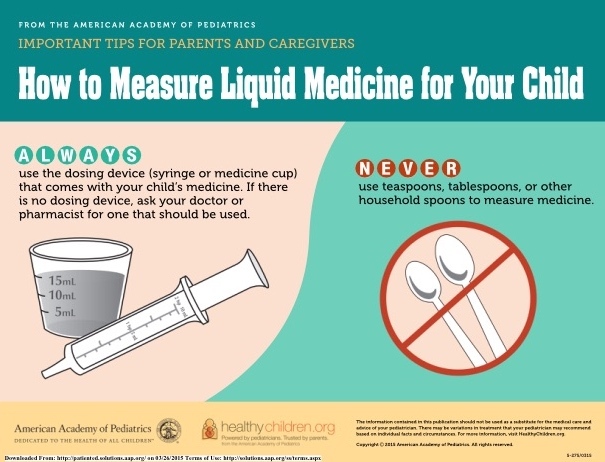 Our philosophy has been that it is our role to provide reasoned, scientific information that can help alleviate those concerns and ultimately encourage all parents to comply with the recommendations of the medical community. Unfortunately, there is a small group of parents that insist that they will not vaccinate their children, or that they have found a schedule of vaccination that they feel is safer than the schedule recommended by health care experts worldwide. Groups in our society that use the Internet to spread a variety of untruths have promoted this phenomenon. Numerous worldwide scientific studies have confirmed the safety of vaccines. Recent events have caused us to re-evaluate our policy regarding unvaccinated or under-vaccinated children using our practice for health care. Around the country, the actions of relatively few parents have put many of the most vulnerable at risk. Whooping cough and measles are now in full resurgence. These diseases are life threatening, especially to our youngest patients. Infants and those undergoing chemotherapy may be unprotected against these diseases. Additionally, children exposed to diseases such as measles require weeks of quarantine creating a tremendous burden to working parents. In the face of recent outbreaks, we no longer have the option of supporting non-compliant patients. Many of our vaccine-compliant patients have voiced concern about possible exposure in our health care facilities. It is our duty to provide the safest environment possible to receive health care. All of the children of our doctors have been fully vaccinated. All of our doctors believe that vaccinating your children may be the single most important health-promoting and life-saving intervention that you can perform as parents. Public health policy exists to promote the well being of all the children in our community. Effective February 1, 2015 our practice will not accept new families that do not vaccinate their children. 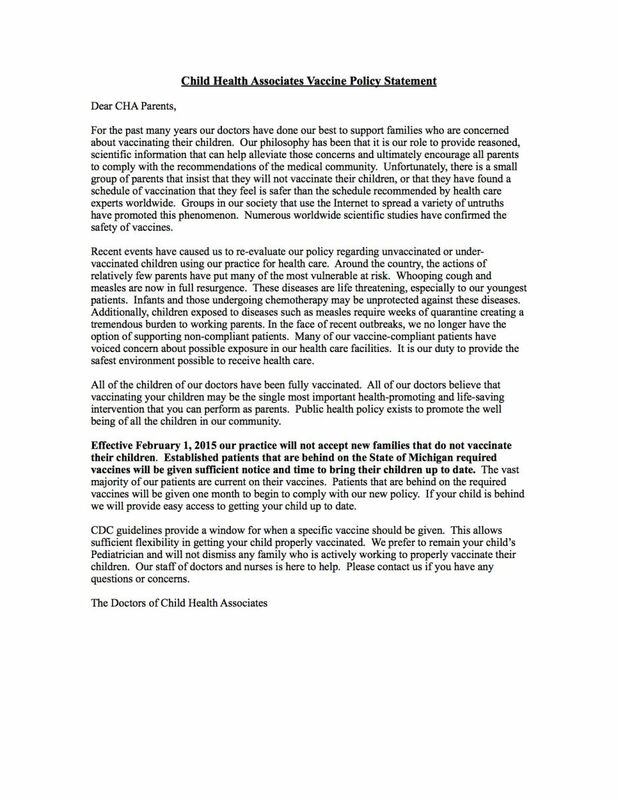 Established patients that are behind on the State of Michigan required vaccines will be given sufficient notice and time to bring their children up to date. The vast majority of our patients are current on their vaccines. Patients that are behind on the required vaccines will be given one month to begin to comply with our new policy. If your child is behind we will provide easy access to getting your child up to date. CDC guidelines provide a window for when a specific vaccine should be given. This allows sufficient flexibility in getting your child properly vaccinated. We prefer to remain your child’s Pediatrician and will not dismiss any family who is actively working to properly vaccinate their children. Our staff of doctors and nurses is here to help. Please contact us if you have any questions or concerns.